Cathrina Moore has an NHS Catering background and studied Catering before commencing nursing studies on completion of both Mental Health and General Nursing studies she has also attained a BSc Hons in Professional Practice – Older People; as part of this degree she focused on eating difficulties for those with dementia. 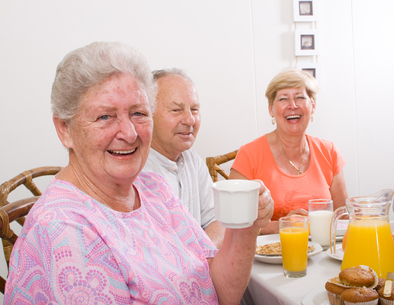 We provide high quality meals, varied snacks and modified textured meals for those with swallowing difficulties which look as close to a “normal textured meal” as possible; the visual experience of meal presentation, it’s taste and consistency is very important to us to ensure everyone can enjoy high quality nutritious foods. Fresh fruit is available daily either whole, chopped or as a smoothies. We can provide meals to meet cultural requirements that include Kosher, Halal, African-Caribbean and Asian vegetarian.